There are many pleasant rites of passage in life. When you are little, you learn to walk, and as a teenager you graduate from school. The milestones for adults can be a little more dubious, however. One of these involves your wisdom teeth. The wisdom teeth are the last set of molars to come in during your adult years (hence the name), but unfortunately, most people’s mouths are not able to accommodate them, meaning they usually need to be removed. The question is when should you do this? Dr. Jeff Lee, your local oral surgeon, gives you 3 signs that mean you might need a wisdom teeth extraction in Cambridge. One of the most prominent problems with wisdom teeth is that they commonly come in crooked. This can lead them to become impacted, or cause your other teeth to start crowding and affect how your jaws fit together. If your teeth are starting to move or your bite is feeling uncomfortable, this could be a sign. There is really nothing to be done other than have them extracted at this point. Your wisdom teeth may cause you periodic soreness from time to time, but they can also lead to consistent pain. 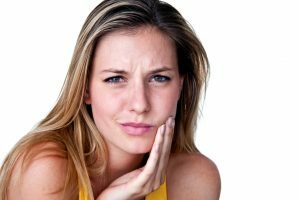 If you are feeling a throbbing sensation in your jaw or pain around your wisdom teeth, this could be a sign they are under pressure from your other teeth, and may even be infected. At this point it’s best to contact your oral surgeon immediately, as this pain will often only get worse as the teeth continue to come in. Not only can they affect how your bite comes together, but when you eat with wisdom teeth that are partially erupted, food can get caught in the gum flap that covers them. This, in turn, could cause your gums to become infected, leading to a host of other problems. You may not always be able to brush well in the back of your mouth and prevent this. The best way to determine if you need a molar tooth extraction in Cambridge is to schedule an appointment with us at Muskingum Valley Oral Surgery. Dr. Lee will examine your mouth and look for the visual signs, as well as evaluate any discomfort you may have. Once it is confirmed that your wisdom teeth need to be extracted, you will need to schedule a time for the minor surgery. Depending on how the teeth are coming in, you may have them removed two at a time (bottom then top, or vice-versa) or all at once. It is generally recommended to have them all removed at the same time to save you the trouble of a second appointment. It is possible to live with your wisdom teeth if they are not bothersome, but take care to sense any changes that imply that they need to go. If you are feeling any discomfort, be sure to call us today.